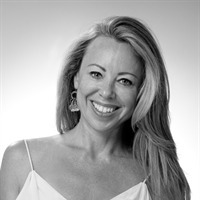 GolborneNash Managing Partner, Helen Hokin, is widely recognised as one of the leading food & travel media specialists in the UK. Hokin has an award-winning track record of managing complex media projects all over the world. Her 15-year career in communications spans PR, magazine editing, digital publishing and TV production and presenting - always and only in food and travel. Helen and the team at Golborne Nash create innovative PR and digital marketing campaigns, for the hospitality and travel sectors, aimed at generating increased business and revenue for you. Working in a mixed print and digital world we get your message out - as column inches, tweets or TV - to as many potential customers as possible. Sometimes, though, it's not always about good news. If you have experienced negative press our experience in crisis communications helps turn negative press around. Stuck with digital media? We'll kick start and manage your digital marketing campaign from SEO and social media to email marketing and a full Google audit. Our close and longstanding relationships in the luxury food, travel and consumer press are invaluable in helping you achieve your goal of being at the forefront of top media minds. As a former editor and journalist in the luxury food and travel sector Hokin's perspective on public relations is unique: Having long been on the receiving end of PR activity, she knows the hooks that catch an editor’s eye. And those that don’t. A former editor and natural storyteller, Hokin and her team create unique campaigns that tell the right stories to the right media influencers. With an M.Sc. in Hotel & Restaurant Management and real industry experience, Hokin brings a solid understanding of the hospitality and tourism industry to PR campaigns. For a free PR Consultation, please call +44 (0) 7958 234548 on or enter your name and email address in the form on the right.